What was that wink for, Katy Perry?? ET's Lauren Zima caught up with the Witness singer, along with her American Idol co-judges, Lionel Richie and Luke Bryan, at the reality singing competition's first live elimination show on Monday night, where she may have hinted that she and her friendly ex, Orlando Bloom, may be back on! During the discussion, the topic of dating came up, including whether the judges would ever date a contestant. "Yes, Katy's like that," Bryan jokingly teased. "She totally could." At that point, Perry popped in with what seemed like a clue about her current love life, saying, "No, I'm sorry I have been spoken for and speak for myself," and adding, "And I'm very happy!" "You're spoken for right now?" Zima clarified, to which Perry replied, "Yeah, girl, of course I am!" "Are you a Mrs. Broom?" Zima asked, referring to an Instagram Story Perry posted earlier on Monday holding up a picture of her former (slash maybe current?) flame, holding a broom, captioned "Orlando Broom." "No, I'm not a Mrs. Broom," Perry responded, before winking at the camera, leading Richie to chime in, "Woah, that took a turn!" This isn't the first sign of a possibly rekindled romance between the couple, who split in Feb. 2017 following a year of dating. Last month, the singer left a flirty comment on a shirtless Instagram photo the 41-year-old actor shared, writing, "Oh hey! I was actually looking for a washboard to do my laundry on." Meanwhile, in February, a source told ET that the former couple was giving their romance a "second chance." “The time they spend together alone is a way for them to build a new healthy relationship that is not under the eyes of their fans and the world," the source said. "They both live very busy lives and have carefully made a plan to give their love a second chance." American Idol airs Sundays and Mondays at 8/7c on ABC. Katy Perry Splits Her Pants Laughing, Flashes the ‘American Idol’ Audience: Watch! 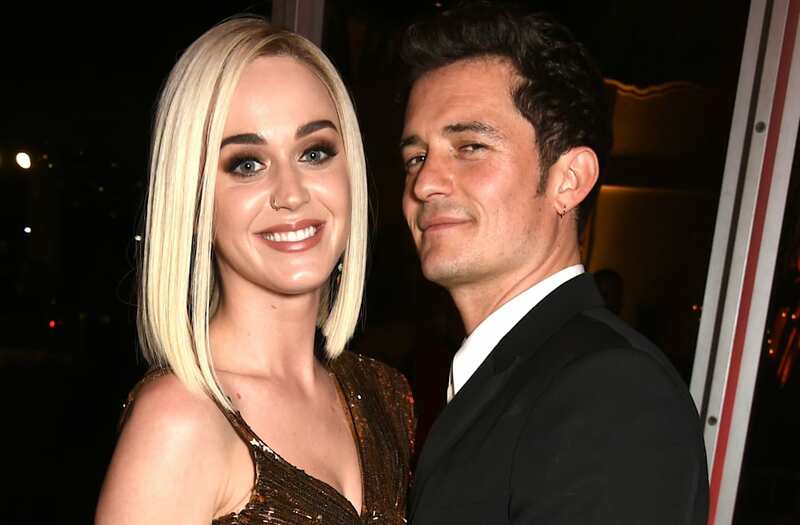 Katy Perry Swoons Over Orlando Bloom's Shirtless Instagram -- See the Pic!